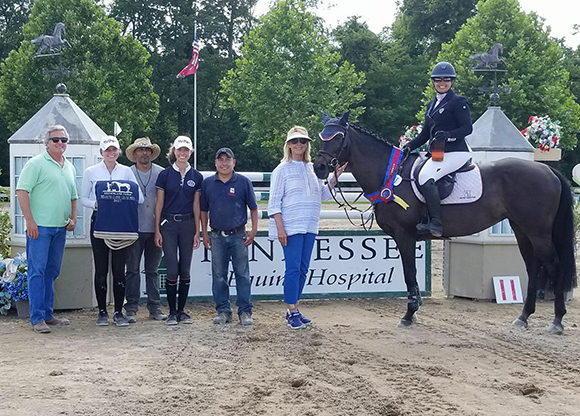 January 9, 2018 – Lexington, Kentucky – Lauren Hester opened 2017 with a shoulder surgery that kept her out of the saddle until the spring, but even that setback didn’t slow the pace of life at Hester Equestrian. Demonstrating her characteristic energy all year, Hester made it back to the grand prix ring, welcomed foals out of her two broodmares, brought in young horses from Europe, trained several clients and launched new websites. 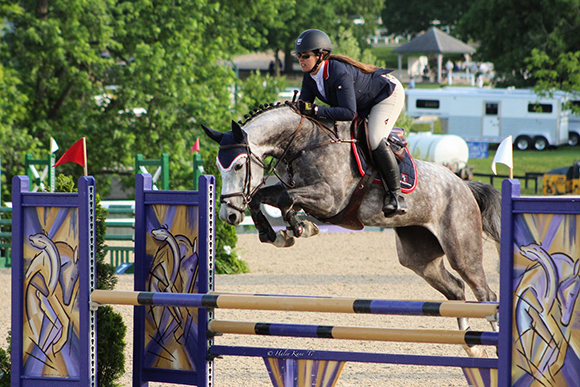 Hester returned to the show ring in May at Kentucky Spring in Lexington. Posting two clear rounds on the speedy mare Warinde B (Padinus x Ekstein) in the $35,000 Welcome Speed 1.45m both weeks, she also picked up ninth in the $40,000 Bluegrass Grand Prix (in the pouring rain). 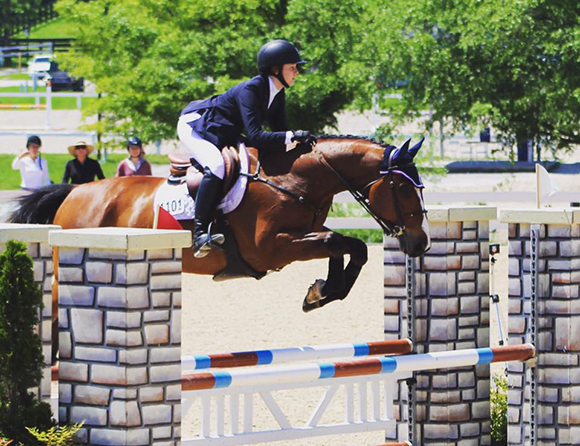 Lauren Hester and Warinde B compete in the $40,000 Bluegrass Grand Prix. Photo by Haley Kane. Later in the spring at Split Rock Jumping Tour: The Lexington International, Hester happily focused on her young training clients. Kelby Kane and Vaillant S (Heartbreaker x Illorine S) won the $7,500 Animo Low Junior Amateur Jumper Final and Haley Kane and Wender (Hors La Loi II x Jonggor’s Ajonc)competed in their first High Children’s classes with great results. Neither of the Kane sisters had shown in the jumper classes until they started riding with Hester. 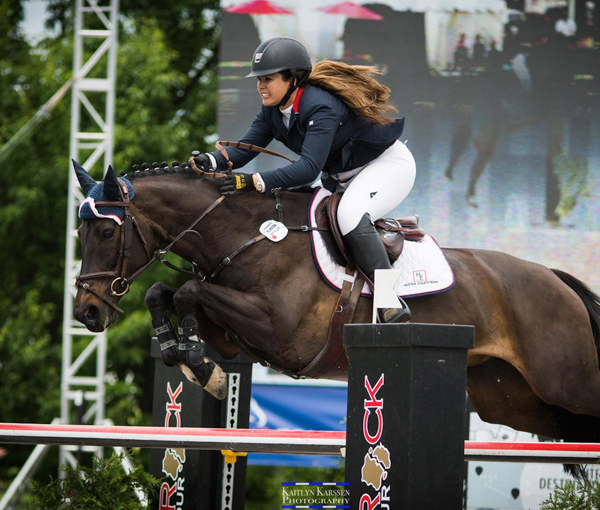 In 2017, they have both blossomed into confident show jumpers, gaining valuable miles and picking up top ribbons along the way. Hester introduced two young mares to the show ring this year – Happy Feet B (Zacherov x Canturano) and Hope (H-Ekwador x Caretino). At the Country Heir shows in Lexington in June, Hope made her debut in the Green Hunters and picked up top ribbons, while Happy Feet B continued her winning streak in the YJC classes, winning both YJC 5-Year-old Qualifiers. Both youngsters impressed throughout the second half of the season, as they showed remarkable consistency taking home top ribbons and championships in their divisions. At Tryon Summer VII, up-and-comer Lorstakov (Lordanos x Sir Shostakov) made his FEI debut in the $6,000 1.40m Power & Speed Opener, finishing 11th in a huge class, while Warinde B took fourth place. Keeping the momentum through July, Clueless P (Contendro x Landsdown) had great results, claiming the Adequan 1.30m Open Jumper Champion two weeks in a row at Tryon. Warinde B was also in top form. At the Brownland Mid Summer Classic, the pair posted a decisive repeat win in the $25,000 Brownland Grand Prix, same as they had done in 2016. 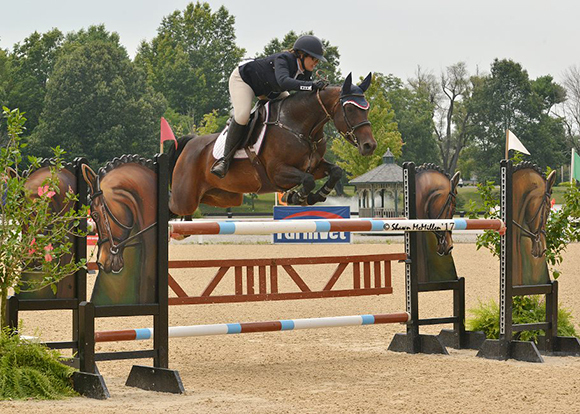 Back on her home turf at the Kentucky Horse Park, Hester and Warinde B galloped to a seventh place finish in the $50,000 Rood & Riddle Grand Prix. In Wilmington, Ohio, at the World Equestrian Center fall shows, Hester introduced another young talent, 2013 gelding I Love You MB (Numero Uno x Roven), known as Teddy around the barn. At the Fall Horse Show II, Teddy bravely and easily jumped around his first show, winning all classes entered. Clueless P also took fourth in in the $7,500 Futures Prix, and at the Invitational show earlier in the fall was seventh in the $15,000 World Equestrian Center Welcome Stake. 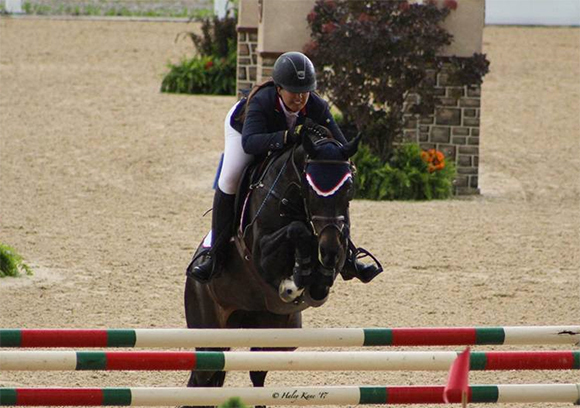 Closing out the year with a flourish at the World Equestrian Center Wilmington in December, Hester and Warinde B took the blue again in the $25,000 World Equestrian Center Grand Prix with the Lorstakov close behind and double-clear for third place. In addition to the wins and accolades accumulated throughout 2017, Hester Equestrian recently launched their new website at hesterequestrian.com – with a similar look, but more modern aesthetic and mobile-friendly design. Hilaurfarm.com, home to Hester Equestrian, also launched last month and features captivating drone footage of the expansive hunter/jumper training center and provides details on the two barns available for seasonal lease to trainers coming to enjoy Lexington and its close proximity to top events. With several new talents ready to show, in addition to more babies due in the spring, the new year is certain to be another memorable one. 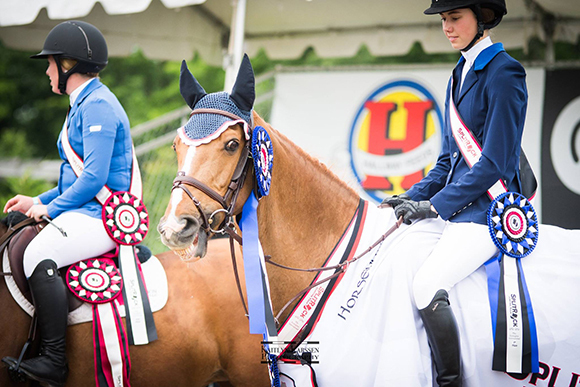 Lauren Hester and Hester Equestrian thank their wonderful sponsors for their support: CWD, Equine Matrix, Tucci Riding Boots, Cavalor, Samshield, Thermotex, WinnFlex, Blueberry Hill, Ramard, and Sport Horse Essentials.